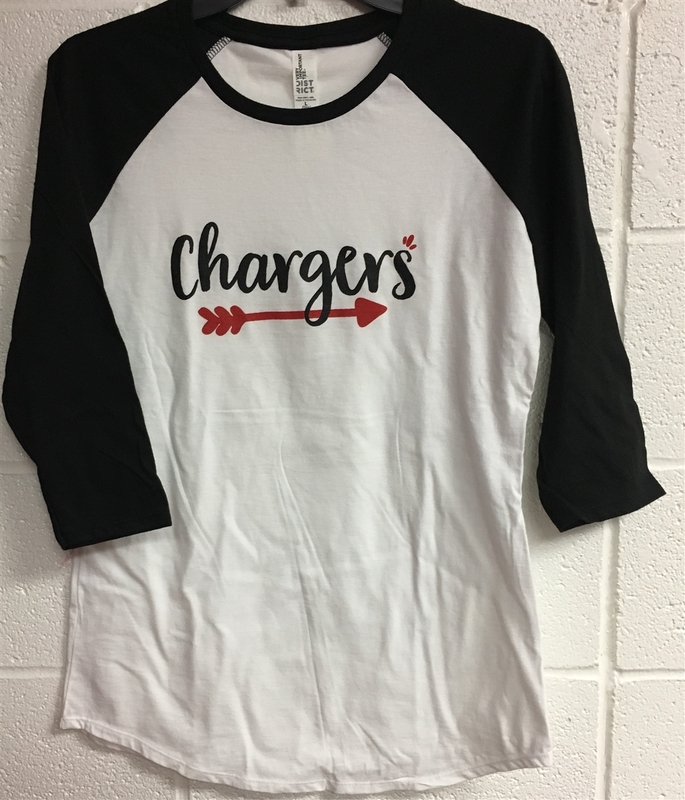 Women's Raglan 3/4 sleeve baseball tee with Chargers in black with red accents printed across front. White with black sleeves and collar trim. Sizes S, M, L, XL and XXL. Runs small so if between sizes, order a size up.